Jacksonville philanthropists Wayne and Delores Barr Weaver CHALLENGE you! You raise $300,000 for a $100,000 match. We are thrilled to announce a multi-year grant from the Weaver Family Foundation, challenging us to raise $300,000 for a $100,000 match every year through 2021. There’s only one way for us to reach this goal: Together. 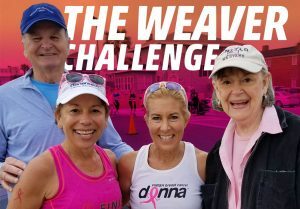 The continuation of the Weaver Challenge for the 2019 DONNA Marathon Weekend marks the 8th year of this unique gift. 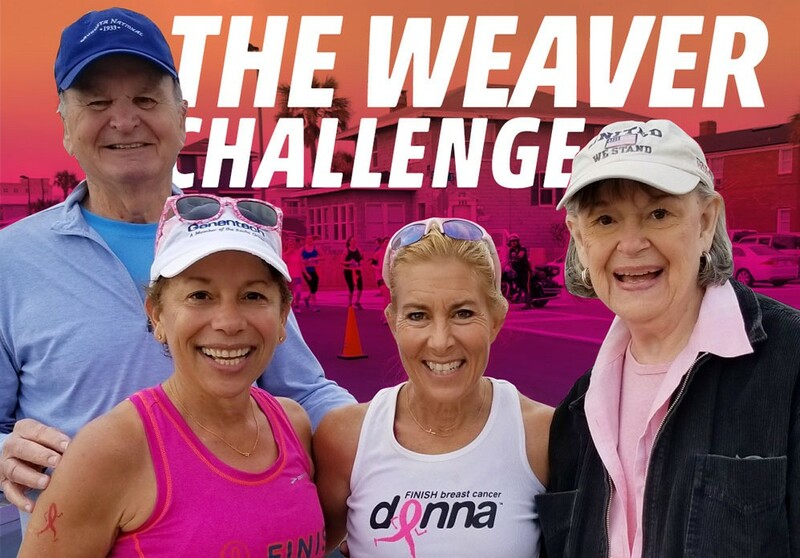 Since it was first issued in 2012, the Weaver Challenge has encouraged those individuals who serve as fundraisers for the annual race through a matching of funds. With the fulfillment of this match, the Weavers will have donated $800,000 to The DONNA Foundation, which in turn has generated more than $2 million to finish breast cancer since the inception of the program.